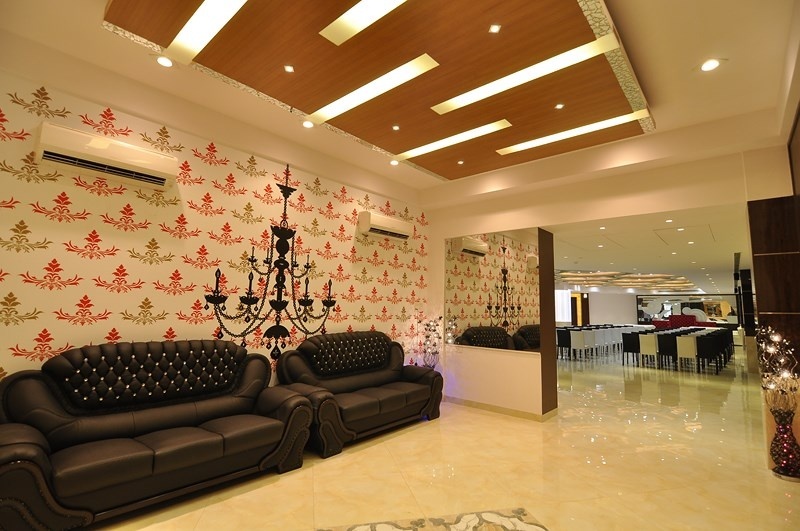 Best Banquet Halls in and Around Churchgate You Must Check Out Now! Churchgate is one of the most beautiful areas in downtown South Mumbai. This plush and exotic area could be considered as a whole different entity of Mumbai given the colonial structures and maintenance which makes every nook and corner of this area a treat to one’s eye. A major tourist attraction and most preferred wedding destination of SoBo crowd, as well as those considering destination wedding in Mumbai, banquet halls in Churchgate are high in demands. To help you make your selection easier, we give you options of the best, suitable for all budgets and tastes, wedding hotels, open-air venues, as well as banquet halls in Churchgate that known for hosting weddings of a lifetime. Take your pick! Hotel Marine Plaza is favoured because of its terrific location. Plaza - the banquet hall in Churchgate is perfect for a small intimate wedding or a pre-wedding event like a mehendi or sangeet. Its rooftop terrace, Allamanda, is the venue's most beautiful event space. Offering breathtaking views of the Arabian Sea, the open-air venue will allow your guests to relax and mingle by the pool. It is best suited for gala dinners, wedding receptions, cocktails and barbecues. The venue has their own in-house caterers preparing delicious multi-cuisines meals. In-house décor is also provided, even though the venue allows outside decorators, DJ and alcohol arrangements to be made. Want to show off your city to outstation guests? Then do it in style! 20 Downtown offers the best in class banquet halls around Churchgate that is simply marvelous. If you’re having a wedding on a budget and looking for a refined venue, 20 Downtown will help you host a memorable celebration. The venue offers sophisticatedly designed wedding banquet halls around Churchgate that have an awesome ambiance inside and offer breathtaking view of the city outside. In-house culinary experts and decorators who work closely with you to accommodate your varying customisations ensuring your wedding celebration is personalised to the T. The venue allows you to Get your own DJ and make your own liquor arrangements. Nestled in the posh location of Colaba, South Mumbai; Cooperage Grounds is spread across a whopping 69,000 sq. ft. perfect to host a lavish feast. With three newly paved lawns, the decorative trees make a natural enclosure to give you a picturesque surrounding. The South Lawn and East Lawn can each accommodate a large number of guests for that big fat Indian wedding. One of the best wedding venues for reception, engagement, mehendi ceremony or marriage, it is a full-service event space taking care of all your wedding related requirements, including catering, decoration and music. The venue allows you to make your own liquor arrangements. Sanskruti Banquets, Malabar Hill, Mumbai, brings many years of experience in managing and organising events. Located in the up-scale Chowpatty neighbourhood, its sprawling pillared hall with beautifully-designed ceiling has hosted many weddings, corporate events and parties over the years. You can count on them to organize all the elements of your occasion from food and entertainment to décor. The venue is a full-service wedding hotel offering all wedding related services in-house, including catering, decoration music and alcohol. The venue does not serve non-veg cuisines. A swanky South Mumbai hotel located at Grant Road, Hotel Krishna Palace houses multiple banquet halls that will easily leave you confused or rather spoilt for choices. The venue can effortlessly accommodate your varying needs for pre-wedding and wedding festivities. The venue offers more than 6 tastefully designed sprawling banquet facilities and a terrace venue that add splendour to your wedding celebration. Separate vegetarian and non-vegetarian kitchens that prepare scrumptious cuisines. In-house décor and music team that ensure your event turns into a memorable affair. The venue allows you to Get your own DJ and make your own liquor arrangements. Are you planning on hosting a traditional Indian wedding and looking for venue in South Mumbai that serves only vegetarian cuisine and does not allow non-veg and alcohol on premises? Avsar is your knight in shining armour. The venue offers minimal yet elegantly designed banquet hall featuring speckles white flooring, spectacular lighting and wooden interiors that will have your guests compliment your unique selection. In-house culinary expert prepare mouth-watering cuisines that will make your non-veg food lover guests salivating for veg food. To check out more such amazing wedding hotels, marriage venues and banquet halls in Churchgate, click here.